Simple, casual style and plush cushions create an inviting look that your guests will appreciate. 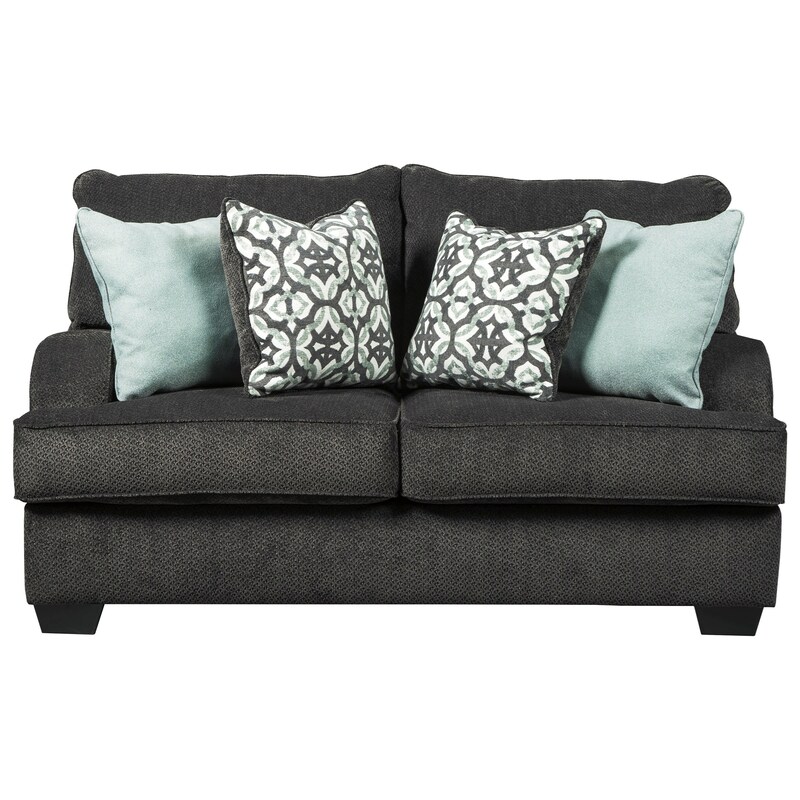 This loveseat features a frame covered in a trendy charcoal fabric with freshly colored throw pillows that will add a pop of color to any room. Subtle English arms create a classic feel on this otherwise casual piece. This loveseat will make a wonderful addition to your home. The Charenton Casual Loveseat with English Arms by Benchcraft at Miskelly Furniture in the Jackson, Pearl, Madison, Ridgeland, Flowood Mississippi area. Product availability may vary. Contact us for the most current availability on this product.